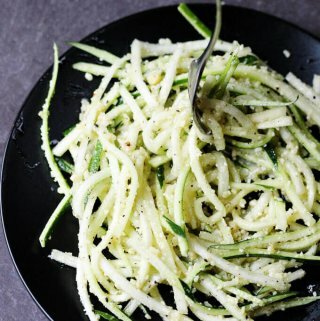 Cacio e Pepe Zucchini Noodles recipe is a perfect combination of one of the most famous Italian pastas with a healthy spiralized vegetable. 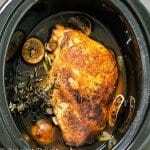 It requires no cooking and can be served as main or side dish. 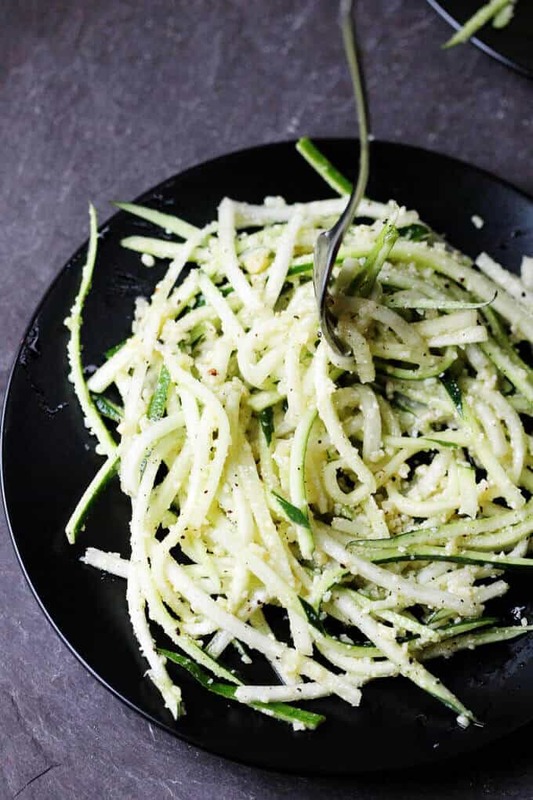 Cacio e Pepe Zucchini Noodles recipe came to my mind when I was trying to find a perfect side dish for someone who is not eating simple carbohydrates at the time. Now the ‘someone’ here is me; and the why is that I’m trying to loose some pregnancy weight. Not to toot my own horn, but admittedly it’s going pretty well. I’ve been very disciplined with my diet, with my only allowed lapse being on Mother’s Day when I indulged in a freshly baked bun, straight from the oven. Other then that I’ve been pretty diligent about my diet. To do so I’ve been incorporating some great pasta substitutes. Previously I’ve made these two dishes with spiralized zucchinis: Garlic Lemon Zucchini Noodles and Pesto zucchini noodles with Cherry Tomatoes , and also this one with roasted zucchini: Parmesan Crusted Zucchini with Black Pepper, Lemon Zest and Thyme . While they are amazing, I wanted something new. Then I remembered that anytime I go to one of my favorite restaurants in NYC: Lupa I ALWAYS have their Bavette Cacio e Pepe pasta…which is out of this world. It’s velvety and peppery and I crave it whenever I think about it. The most beautiful thing about this pasta is its simplicity: 4 ingredients, a few minutes, and it’s done. 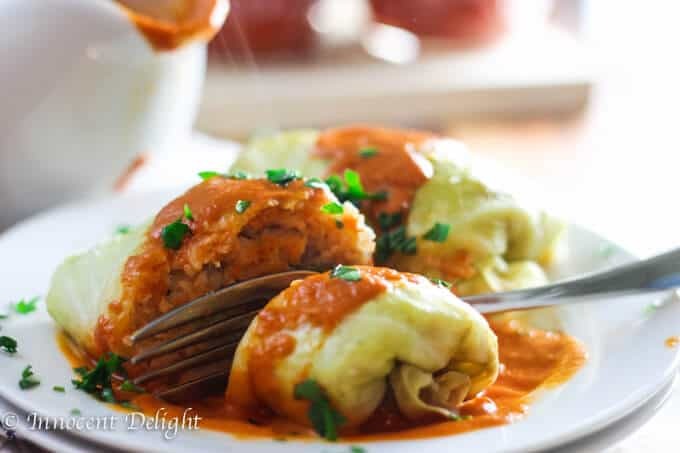 and maybe a little salt (that depends on how salty the cheese is – I would suggest adding salt at the end only if the dish actually needs it). At the end add parmesan cheese, mix and serve immediately. So what exactly does Cacio e Pepe mean? Cacio e Pepe literally means “cheese and pepper”. Cacio e Pepe is a very famous Roman dish that usually includes linguini or spaghetti, Pecorino Romano cheese and black pepper. Some pasta water is added to the dish to help melt the cheese and make it creamy. For my healthier version I used zucchini instead of pasta, and I also used Parmigiana Regiano instead of Pecorino Romano as I think the sweater, milder cheese goes better with the fresh zucchini. This dish is raw which means that the cheese does not melt but it sticks to the zucchini and it really tastes amazing. 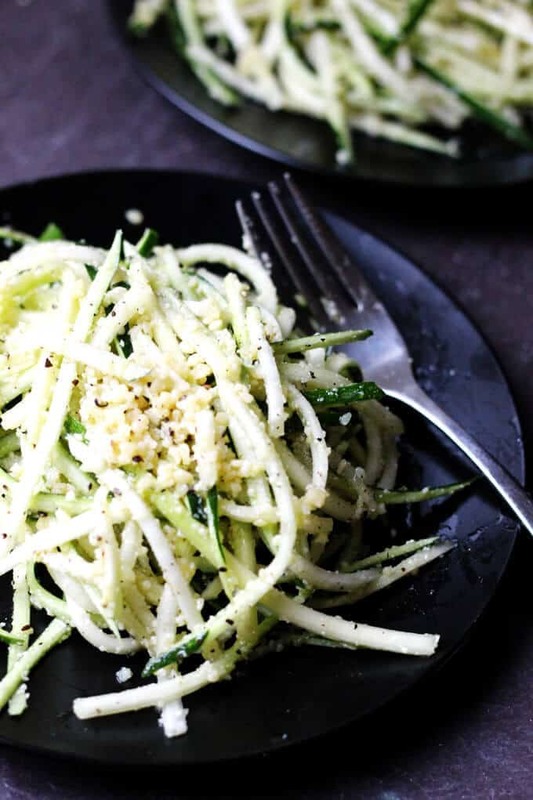 Next time you’re looking for some new ideas on how to eat zucchini or for an alternative to pasta dishes, try this Cacio e Pepe Zucchini Noodles recipe and I guarantee you will be satisfied. 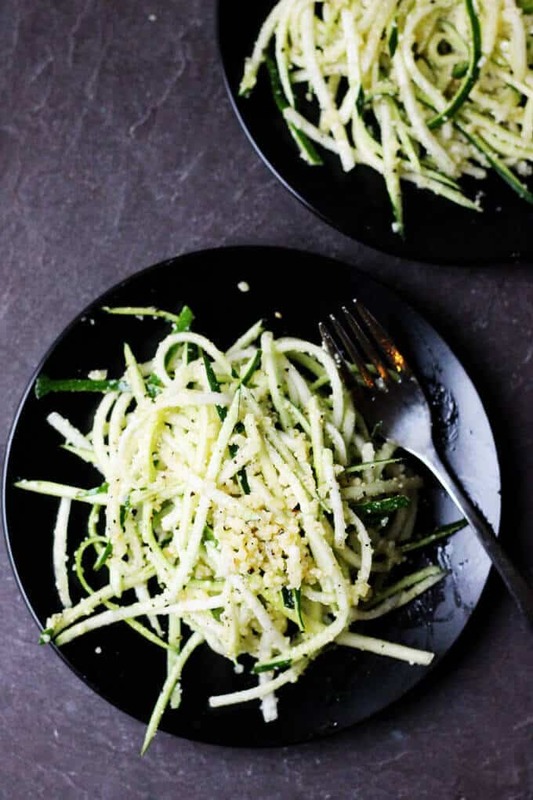 Cacio e Pepe Zucchini Noodles recipe is a perfect combination of one of the most famous Italian pastas with healthy spiralized vegetable. 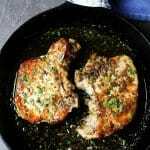 It requires no cooking and can be served as main or side dish. You may add more cheese if desired. For me 1/2 cup was sufficient. 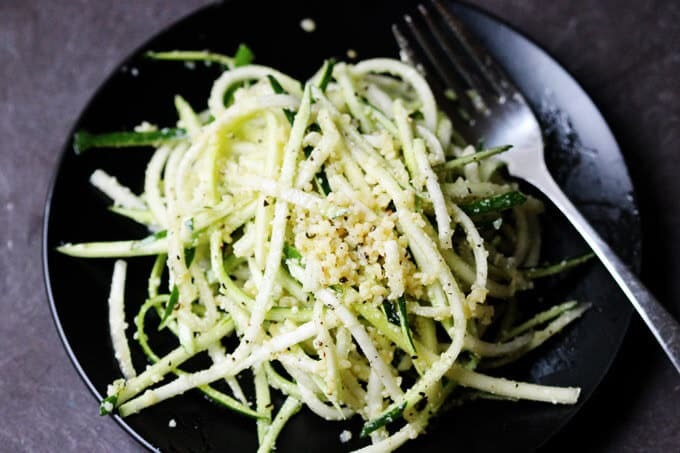 I have a zucchini spiralizer and am loving anything with zoodles. 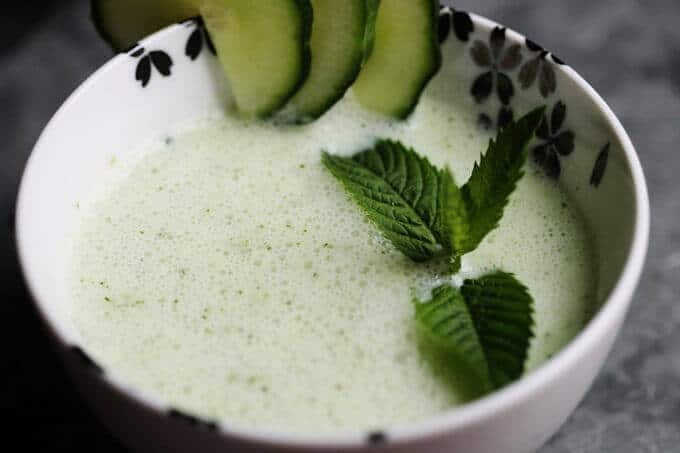 I love the simplicity of this healthy recipe. I’ve wanted to try zucchini pasta! This looks so good! These noodles will make wonderful side to any meal! 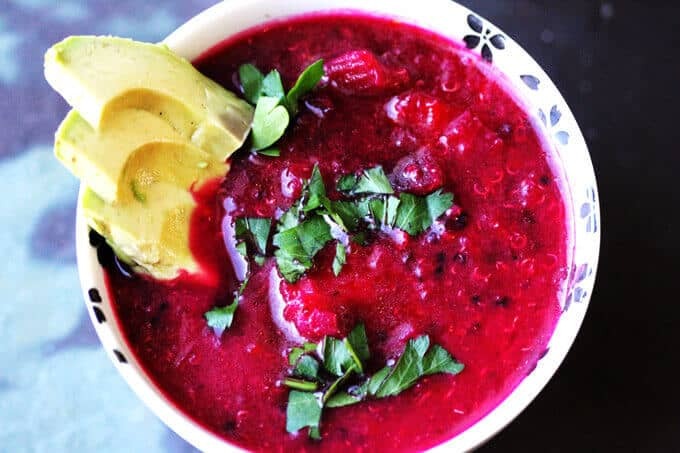 Clean yet yummy flavors! drooling! Cacio e Pepe is hands-down my favorite Italian pasta dish these days. 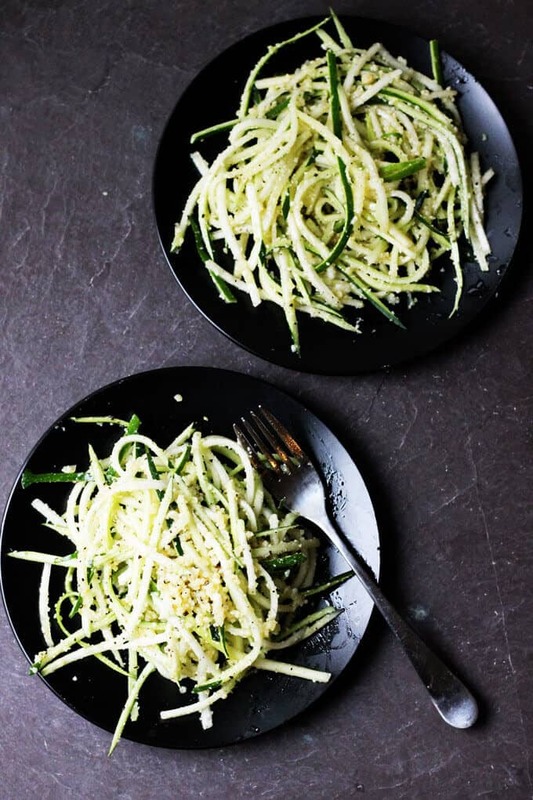 But I never thought about making it with zoodles! Of course! 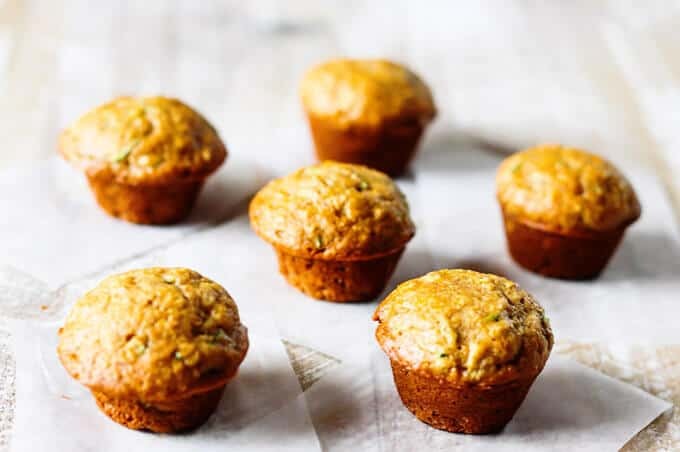 Thanks for the idea – this is getting added to my meal prep for the weekend! 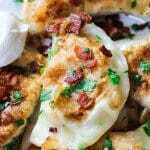 This looks like a perfect low-carb dish! So full of flavor! I think it definitely helps to mix things up and keep things tasty when trying to be disciplined and not eat carbs.